New interview with Michael, host of the Trufaux Sho…..
MC Hammer – U Can’t Touch This…..
MC Hammer Explains How He BLEW 30 MILLION….. The Paracast: A discussion with Joshua Cutchin and J. Randall Murphy…..
Why does modern medicine have a big problem with natural health?…..
What The Medical Industry Does NOT Want You To Know….. In the Isles, ‘The Eve’ is almost upon us; when the sun drifts down from the western sky today (approx. 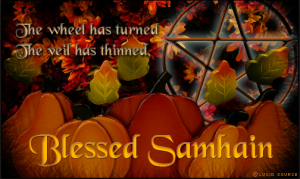 16.30 depending on where you are in U.K.) Samhain Eve (Irish/Scottish), Nos Galan Gaeaf (Welsh) or Nos Kalan Gwav (Cornish) begins. The Maiden Moon phase occurs at 19.51; and then at 23:42 the sun reaches 15° Scorpio, the climax of this powerful liminal moment.